In order to reduce the water pressure from the water line to your home, a water pressure regulator is normally fitted. 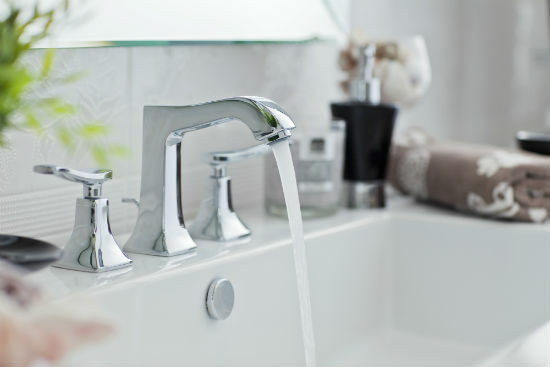 As a plumbing valve, all water levels will reduce to a safe level before entering the home and this prevents damage to your plumbing fixtures and fittings. Without this level of control, the pressure could go beyond the point at which most parts are designed to handle which leads to expensive and inconvenient repairs. Typically, the water pressure regulator will actually be reduced inside the body of the valve using an adjustable spring-loaded diaphragm. As water enters the valve, it gets constricted before then being released at a safe pressure. Location – If one is installed for your home, it can be found after the main shut off valve where the water enters the home. As you can probably guess, a pressure regulator will never be located before the shut off valve because then you wouldn’t be able to shut off the water in your home before doing work on the system. Is it Necessary? – Although it serves a very important purpose, some homes actually won’t need one but it all depends on the pressure of the water entering your home. By using a pressure gauge, you can test this by attaching it to any washing machine bib or hose bib. As long as the water remains between 40 and 60 psi, you might not need this valve; remember to keep the gauge in place so you get a consistent reading rather than a reading from just one point in time. Additionally, you should test it at different times of the day because the demand in the households nearby could play a role. When testing, make sure you’re looking at the only water going into your home otherwise you won’t get a proper reading. If necessary, you could also talk to your local water company as they should be able to provide advice. Installation – If you already have a pressure regulator in place and you’re replacing it with the same model, installation should be achievable within a few minutes. Considering manufacturers don’t really adjust the size of their models, the ones available now should be the same as twenty years ago and beyond. After shutting off the water, you simply remove a couple of unions before then unscrewing or pulling the valve from its place. From here, you can install the new valve with ease. If you haven’t had a pressure regulator previously, the whole process will be slightly more difficult because the main water line will need to be adjusted. Before deciding to take the project on yourself, we highly recommend talking to a professional service because they can rework the main water shutoff valve with full knowledge of what’s going on. Damaged Water Pressure Regulator – Over time, the pressure regulator can get damaged and broken so you need to know the signs. Firstly, you might notice a sudden increase/decrease in the water pressure entering your home. Furthermore, the pressure could fluctuate and these types of inconsistencies suggest a problem. Once again, keep a pressure gauge handy so you can keep testing and know what’s ‘normal’. If you’re just reading this as a precaution, be sure to check the pressure of your water soon and then yearly after this. If you don’t notice a problem or leave damage untreated, it’ll place huge amounts of unnecessary stress on the system and it won’t be long before your home can’t handle it anymore. While some experience small drips from the faucet, others come home to a blown pipe which rips through the wall/floor so it isn’t worth taking the risk.